Get tips for finding and using images for research and scholarship. Image sources on this site are grouped by subject and type: advertising and photography; art, architecture, and city planning; history, maps, and anthropology; science and medicine. Archnet is a globally-accessible, intellectual resource focused on architecture, urbanism, environmental and landscape design, visual culture, and conservation issues related to the Muslim world. Archnet’s mission is to provide ready access to unique visual and textual material to facilitate teaching, scholarship, and professional work of high quality. MIT Libraries digital collections can be found in Dome. There are over 70,000 images, maps, and documents. MIT certificates are required for some collections. A subscription based digital library of over one million historical and contemporary images related to art, architecture, world events, the humanities and social sciences. Open to anyone on campus. For off campus access to MIT faculty and students, an account is required. See ARTstor Terms and Conditions of Use. 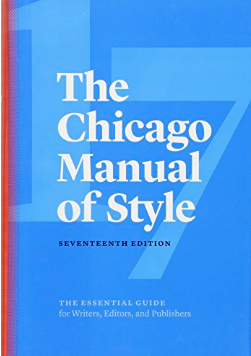 Below are examples in Chicago style citations by type. Include the artist’s name, title of work (italicized), date, medium, measurements, and the institution which houses the work. Include the source the image came from, preceded by a statement which declares the source (for example “In;” or “Source:” or “Available from:”). If the source is online, include the URL and the date accessed. Alice Neel, Nancy and the Rubber Plant. 1975, Oil on canvas, 203.2 x 91.3 cm. The Estate of Alice Neel. From: Ann Temkin et al. Alice Neel. New York: Harry N. Abrams, 2000. Plate 64. Rogier van der Weyden, Saint Catherine of Alexandria. 1430-1432, Diptych panel, 18.5 x 12 cm. Kunsthistorisches Museum, Vienna, Austria. Available from: ARTstor, http://www.artstor.org (accessed June 19, 2019). Caravaggio (Michelangelo Merisi). The Musicians. Ca. 1595. Oil on canvas, 36 1/4 x 46 5/8 in. The Metropolitan Museum of Art, New York. From: The Metropolitan Museum of Art, http://www.metmuseum.org (accessed June 19, 2019). 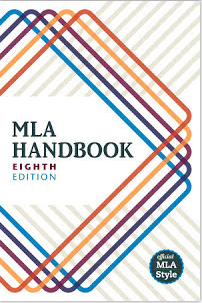 Below are examples in MLA style citations by type. Artist’s last name, first name. Title of art work, in italics. Date of art work. Medium. Institution where art work is housed (if known), city where housed if not already named. Title of printed source, in italics. By Author of printed source. Place of publication: publisher, date. Page or plate/figure/slide number. Print. Rousseau, Henri. The Ship in the Storm. 1896. Musée de l’Orangerie, Paris. Henri Rousseau: Jungles in Paris. By Claire Fresches, et al. Washington: National Gallery of Art, 2006. 232. Print. Artist's last name, first name. Title of Art Work in Italics. Date of art work. Institution where art work is housed (if known), City where art work is housed (if not already named). Database or website name. Web. Day month year accessed. Cassatt, Mary. Denise at Her Dressing Table. ca. 1908-09. Metropolitan Museum of Art, New York. ARTstor. Web. 18 June 2019. <http://www.artstor.org>. Citation includes: Artist. Title of Work. Date of Work. Museum or Collection, City. Database/Web Site. Date Accessed. URL (optional). If known, the collection which owns the image should be included, along with its location. De Chirico, Giorgio. Soothsayer’s Recompense. 1913. Philadelphia (PA) Museum of Art. Grove Art Online. Web. 18 June 2019. Citation includes: Artist. Title of Work. Date of Work. Medium of Composition. Museum, City where Museum is located. Atget, Jean-Eugène-Auguste. Boulevard de Strasbourg (Corsets). 1912. Photograph. Art Institute of Chicago. Below are examples in APA style citations by type. Note: If you can only find the screen name of an author (such as a photographer on Flickr), that will do as the author's name. If the screen name is all lowercase, keep the name lowercase in the in-text citation and the references list. Many images found on the Web are of this category, but you should still look for this missing information: try clicking on the image, and/or looking at the bottom of the image.